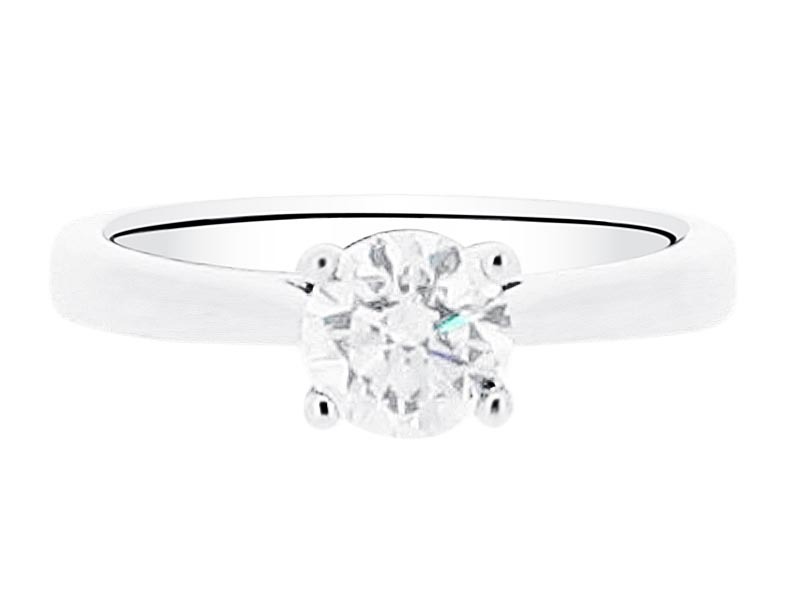 As timeless as they come, there is no mistaking this stunning ring as a romantic engagement promise. 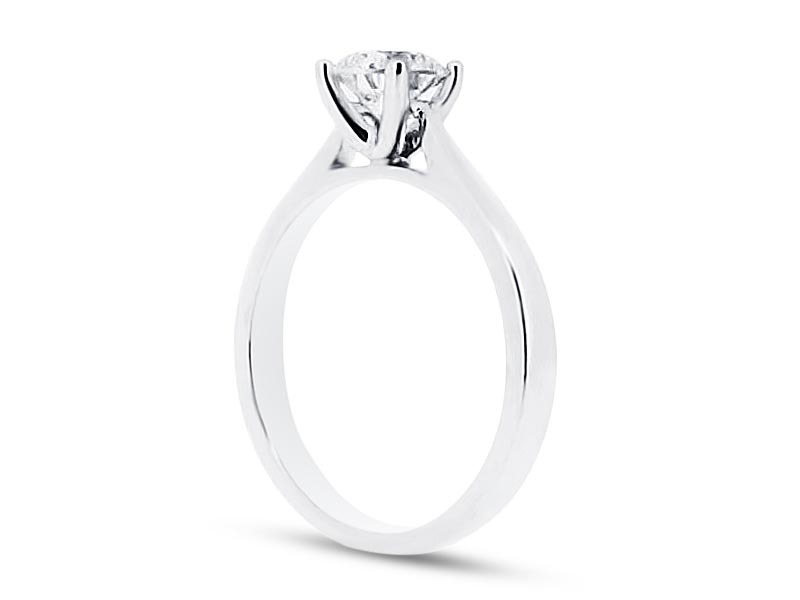 The V-shaped collet allows the round shaped diamond to “float” in its four claws. This allows maximum light to enter the stone. 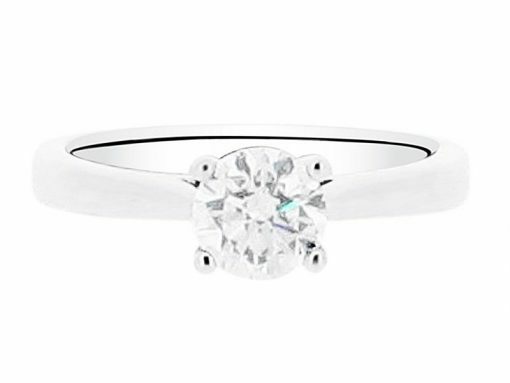 Do you love the shape but you prefer scallop, pave, or channel set diamonds in the band instead? Discuss your options with us at our comfortable offices in Dublin City Centre, or Hatton Garden in London.